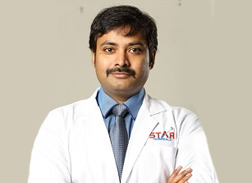 Dr. Bala Rajasekhar graduated from one of the oldest colleges in India – Osmania Medical College, and passed MBBS . He has attended many national and international conferences and published several papers in peer Neuro-journals based on his vast experience. He in another star in the Nerurosurgical faculty of STAR Hospital.